Maybe there is no magic but what we make for ourselves. 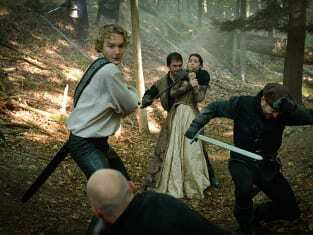 Reign Season 3 Episode 5: "In a Clearing"
Francis: Your birthright is your most precious possession. Think twice before trading it. Mary: You are my most precious possession. Permalink: You are my most precious possession. Mary: I am quite happy with my view. Permalink: I am quite happy with my view.